My Ipaq takes off with the Frecce Tricolori! So here’s the special picture I was talking about, which just appeared in exclusive on Pocket PC Thoughts! 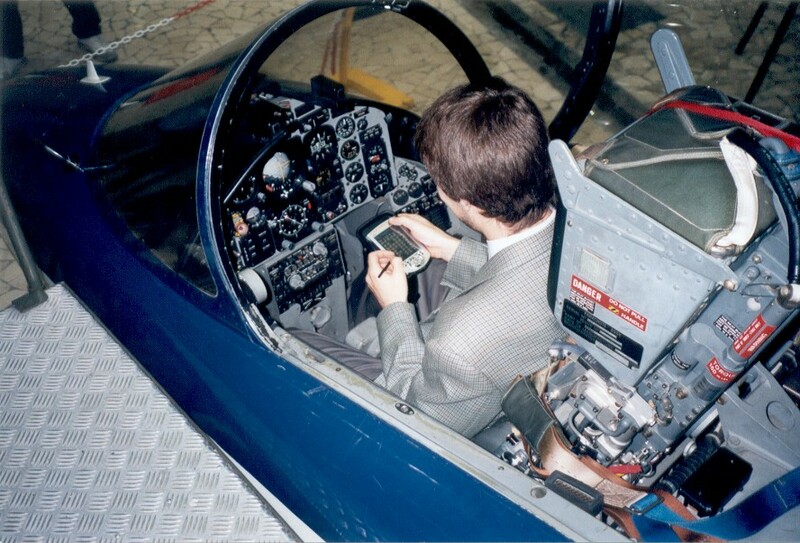 At the recently closed SMAU 2003 I didn’t miss the opportunity to jump into the cockpit of a real Aermacchi MB-339 jet aircraft used by the world famous italian Air Force Acrobatic Team, the Frecce Tricolori, obviously bringing with me my faithful Ipaq. And of course the application running on the Ipaq was Euro coins pocket collector! This entry was posted on October 10, 2003, 1:59 am and is filed under Euro Coins Pocket Collector, Mobile, Software. You can follow any responses to this entry through RSS 2.0. You can leave a response, or trackback from your own site.